The publisher has made a total of 30 copies available for us in a variety of formats! (2) a promo code to download the book from S&S's website (only good in US and not Kindle compatible). This giveaway will run through August 8th. Winners will be announced here and via email on August 9th. 2 - State that you agree to participate in the group read book discussion that will run from September 15th through September 21st. Jenny Shortridge has agreed to participate in the discussion and will be available to answer any questions you may have for her. Hello! My name is Kelly from Downers Grove, Illinois. I would love to participate in the author/reader discussion for this book! I participated in one of your giveaway discussions before and enjoyed the book and the experience, so I hope to be able to do it again! 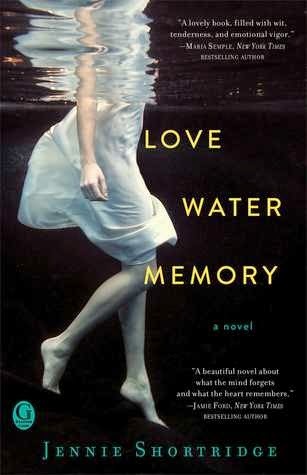 I would like to receive this book, mainly because I am a book lover and am always looking for new authors and genres to read and haven't been to the bookstore in quite awhile, but also because I am very indecisive when it comes to picking my next book, I often find it easier to have one thrown at me instead :). Plus this book sounds like quite a page turner! This is Elizabeth in Atlanta Ga. I'd love to win a print edition so I could participate in the book discussion. My email is bevins.elizabeth@gmail.com. Thanks! Congrats to you both, you are winners! Thanks for entering!! I'll be in touch via email.